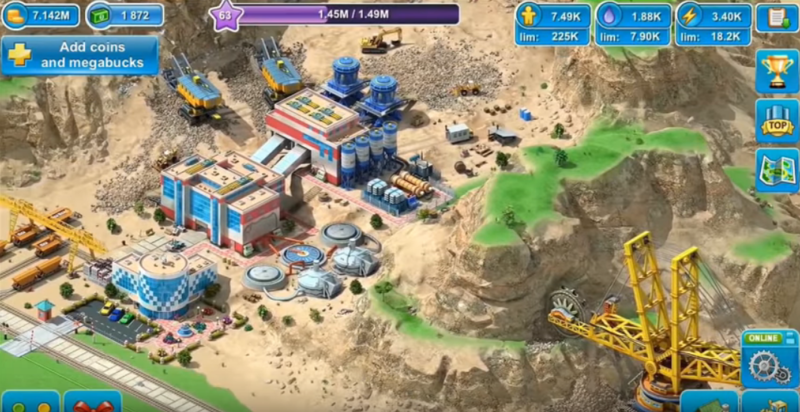 Moy City Builder is an exciting casual game for mobile devices, the main task of which is to design and build your own city according to fictional drawings! Bright graphics, addictive gameplay, and intuitive interface will immerse you into the virtual world for a long time and will give a lot of positive emotions. You have a plot of land, so think about what kind of city you would like to build on it. First of all, you will need resources for the construction of buildings. Therefore, start from the construction of sawmills. For all construction work, you must pay in gold. To ensure a stable cash flow, build several gold mines and start making a profit. With increasing finance, build new buildings and structures. You can create over 60 different buildings and arrange them as you like. Improve those that are already in your city and get increased profits from them. Don’t forget to carry out repairs. Populate citizens in your metropolis and see that they are happy with your rule. Imagine yourself in the position of mayor of a new town? Then install Moy City Builder on your mobile device and show that you can build the most incredible city. 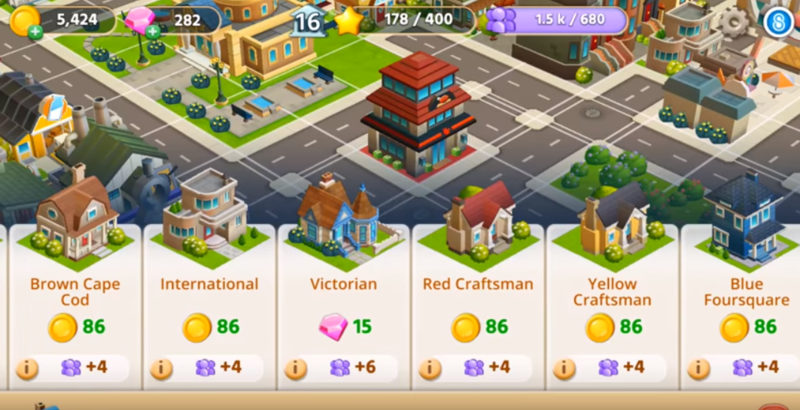 City Island 4- Simulation Town is the most popular city-building simulator, which is created specifically for mobile devices. In the new simulator, you will need to start to develop a small village located on one island, up to the size of a huge metropolis, which will already host more than one island. From the very beginning of the gameplay, you will be at the head of the whole village, develop it in all areas and make the metropolis of your dreams. 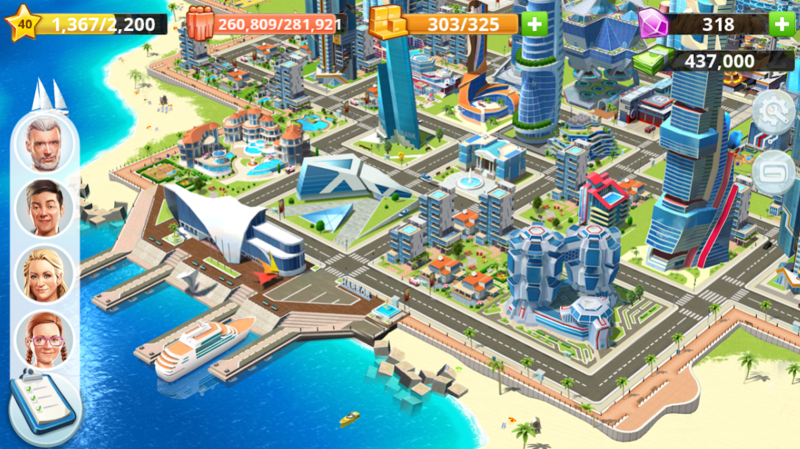 The development of your future metropolis will begin with the implementation of tasks and quests for which you will receive good gifts and bonuses. With proper placement of buildings, you will receive a greater amount of profit in the treasury of the city. The resulting profit will need to be wisely spent for the further development of the entire city. 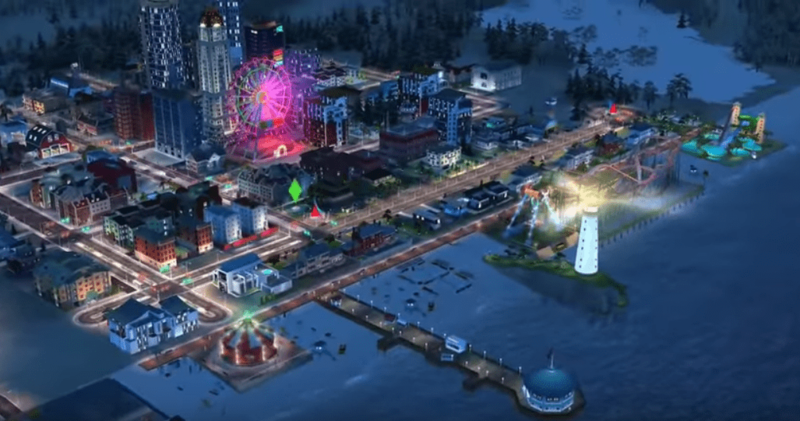 Also, as the city develops in City Island 4- Simulation Town you will be able to discover new locations and opportunities. A distinctive feature of the application is high-quality graphics and original design. In addition, the game has a simple control and interface, and the download is free of charge, regardless of the type of mobile device. For real fans of the genre, there is paid content, which opens access to additional game features. 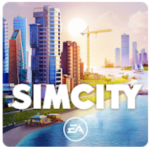 Are you ready to become a new mayor of SimCity! You have an important mission to create your own city – a unique, beautiful, one that all citizens like. This task isn’t too easy, but certainly fascinating. It is only important not to forget that the opinion of the townspeople should always be taken into account – as soon as your city grows, they will put forward more and more demands. 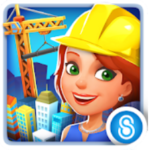 In your city in the three-dimensional game SimCity BuildIt, you can build a lot of buildings – don’t miss the opportunity to try on the so realistic role of a literate mayor. But it will be necessary to build wisely in order for the city to develop, and the budget increases. Also, you can set up trade with other cities, and if friends play with you, it will be even more interesting to trade with them. As you move forward during the game, you will be able to unlock exclusive buildings that will further adorn your city. And to make it even more fun, launch a natural cataclysm and show how cleverly you will be able to cope with it! Like any mayor, you will encounter real problems of the city – there will be traffic jams on the roads, buildings will be damaged, someone or something will pollute the environment. Work on eliminating these problems, develop urban services and don’t forget about entertainment for the citizens, otherwise, they will no longer be happy. You are waiting for exciting trials, and if you pass everything, you can become the best mayor in the world! 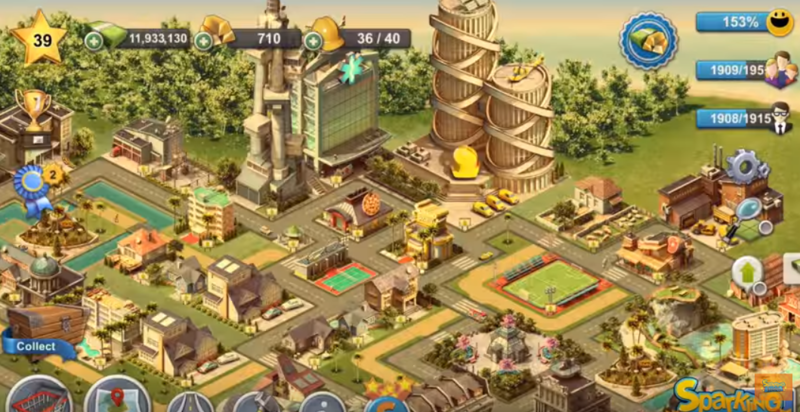 City Mania is a very colorful city building strategy for Android from Gameloft studio. The game has a wonderful graphic design of three-dimensional locations. In addition, it will please fans of all kinds of farms with high-quality animation, nice special effects, and quite a decent sound. We have to build the most colorful city in the world, create residential areas, park and industrial zones, develop infrastructure and build socially significant, as well as administrative facilities and much more. At the same time, it is necessary to remember about the safety of local residents, take into account their desires while planning streets, observe environmental standards and provide the population with all important services. It is necessary to build water towers, power stations, shops, fire stations, farms and greenhouses, factories for the production of building materials and much more. Yes, the more your city grows, the longer you have to wait for all sorts of improvements and modernization, but then there are more objects, so this strategy will not let you get bored. There are some nuances, of course. It is worth noting that the upgrade of any building and requests for the creation of a product require us to move a lot (in the training mode, everything is clearly shown). For the performance of various tasks, we will receive magic suitcases with resources, specialists and rare currency. City Mania is an excellent city planning strategy. Recommended to all lovers of the genre. An interesting strategy in which you will feel like a real manager of the city. Try to develop a settlement and create a real metropolis with a multi-million population and a lively infrastructure. Of course, the city is not a country and not an empire. In general, the scale of the game, after the passage of similar strategies, is not impressive, but believe us, you will have a lot more problems with the city! Of course, there is no need to hold territory or win new lands, not at all. Your task is both harder and easier at the same time. Try to keep the city in working condition, try to monitor the work of infrastructures. Make your settlement really large-scale, well developed and favorable for the life of your citizens. • Various awards and achievements. Try to create the most successful city, which will be good in all respects. Surely many of you really want to be in a tropical paradise, where the sun shines all year round. Then be sure to download the new Tropic Paradise Sim. Yes, this is an ordinary town-planning simulator, but far from being a difficult one. Create a cool tropical resort, and not just one, but a whole complex consisting of several islands. 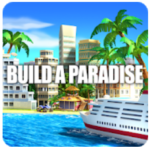 After launching the game Tropic Paradise Sim, you will be offered several islands for building. There are nine of them. However, it’s better to start with the one located in the center of the archipelago. So, you will see a small piece of building land there. The first thing you need to start with is residential buildings, in order to fill the island with the manpower necessary for quality guest service. By the way, each new building must be connected to the complex you are building with the road, otherwise, working personnel will not be able to reach it. To date, over three hundred types of objects are presented in this free novelty, which are divided into categories: residential buildings, commercial buildings, public buildings, and decorative elements. By the way, at the very beginning, only a small part of the total number of objects is available to the gamers. The rest are available only in two cases: as the gameplay progresses, and when buying blocked objects for donat currency – gold bars. This is an entertaining simulator, in which you will build a lot, you will interact with the mayor and his subordinates so that the paradise will shine with all colors. You can independently choose the path of development, for example, high technology or industry, cultural heritage, and so on. Visit the cities of your comrades, look at their results. Along the way, don’t forget to open new objects and buildings, produce resources that will attract new residents. As in all games of this type, you will need to complete missions to get everything you need to build certain buildings. For the passage of missions, you will need only time and, of course, money. The whole process in Little Big City 2 can be accelerated with a few diamonds. The graphics component of the game is implemented at a decent level. All locations and objects are worked out to the smallest details. In the course of the gameplay, you can admire palm trees, mountains, city streets, transport, and many, many others. In short, a lively resort has its own bright life and invites you to participate in it. Also, the presence of realistic sound is worth noting. Unfortunately, there is no background music, and it is very lacking. In general, Little Big City 2 is an exciting city-building strategy that, while not offering anything new in its genre, at least has nice graphics. Space City: building game – an excellent simulator of building your own metropolis in space, where a gamer can manifest his creative motives and create something incredible, beautiful. The free application includes a wide range of buildings, administrative facilities, without which the functioning of the city is simply impossible. Think through every detail, making the city better. Gamers have to rebuild a huge metropolis, think over infrastructure and other details so that everything functions as it should. The game will provide the user with everything necessary so that you can make your dreams come true. The main thing is to remember to build mining buildings otherwise you have to wait a long time until the necessary amount of building materials accumulate. Proper use of resources will allow you to quickly achieve the desired result, saving a lot of time. Create incredible cities that differ in design, functionality, and size. Share your progress with friends, showing your work on pages on social networks. The construction simulator has excellent design. Pleasant animation of the city’s liveliness creates an additional action, making the app alive. The musical accompaniment gives you a feeling that everything happens in space. Tap Tap Builder game is a unique application that combines ease of management, original design, and addictive gameplay. In the application, you get the opportunity to build a unique city of your dreams, start developing it and become its mayor. But before you begin to manage, you have a lot of work. First, you have to build a city, so wear a helmet and begin to show your skills as a builder. Be prepared for the fact that on the way to the development of the city you will find many difficulties and obstacles. You will need not only to build houses but also to cope with other problems that inevitably arise among the residents of the city: to save money for further development, put out fires and be engaged in improvement. The Tap Tap Builder game is not only characterized by high-quality graphics, but also by simple controls: to perform a specific action, simply click on the screen of the mobile device. Game progress is saved automatically, so the city will develop even in your absence, and its treasury will grow. The game is free for all types of mobile devices. In addition, it has additional paid content, opening up even wider gaming opportunities. If you like urban simulators, the Dream City: Metropolis app will be a good opportunity to have a great free time. Here you have to build the city you dreamed of and, naturally, to become its mayor, with full responsibility for the fate of the city and its inhabitants. Build buildings, but at the same time take into account if they are really needed. Plan your construction so that it benefits the city. For example, houses are housing for citizens, factories are the possibility of producing goods and food. An amusement park brings joy to children, and therefore adults are happy too. In general, everything should interact as best as possible. Local sights will not interfere, what will not only delight tourists but will bring additional income to the city budget. Thinking it is simple to be a mayor, even of a small town? But try and see with your own eyes what kind of work it is. Only if you are a fan of this genre, such difficulties are certainly not terrible for you. 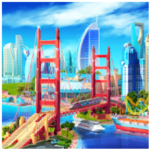 Therefore, install the Dream City: Metropolis app on your Android device, show everyone that you can become a great mayor and all residents of your city will be proud of! Love to build cities and you’re a fan of good old classic farms? Aquapolis. Free city building! gives you another opportunity to do your favorite thing at your leisure. Create your settlement, develop its infrastructure, harvest, make a profit and put it into circulation, so that it brings even greater income. True, this time a slight deviation from the traditional genre is that your city will be located, not on land, as we all used to, but somewhere deep under water. So, you have the opportunity to build your own Atlantis, and build from scratch. It all started with the fact that on the earth probably a disaster occurred. We still don’t know about this, but perhaps our brilliant professor will help us to find out, who, of course, cannot do without the help of the captain and the omnipresent Lana. And if she doesn’t spoil the whole thing, then soon a part of the riddles can be solved. In the meantime, you have to look around carefully under the water and make your parking here, which after a short period of time will turn into a farm, and then it will grow to the size of a huge city. 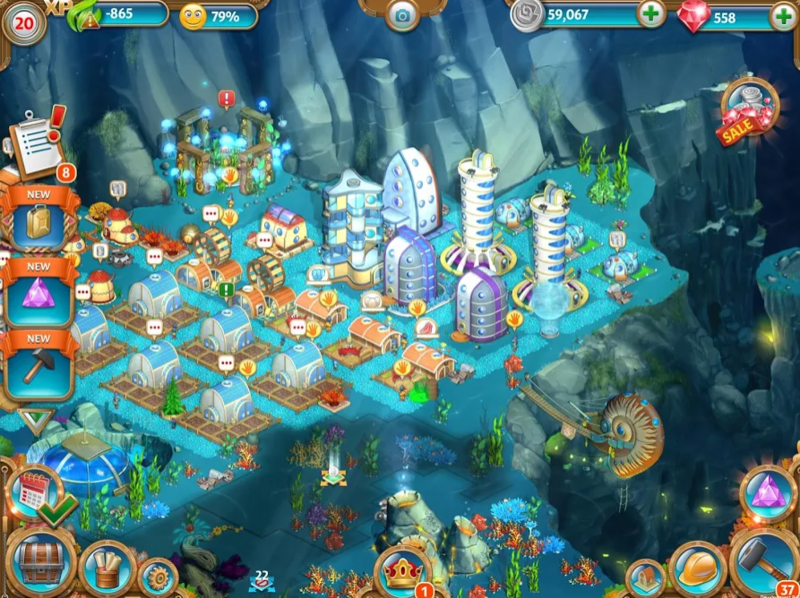 Manage the city, properly allocate resources, and don’t forget about finding answers to your questions together with Aquapolis. Free city building! And know that all your efforts can be rewarded with the most unexpected surprises for you.